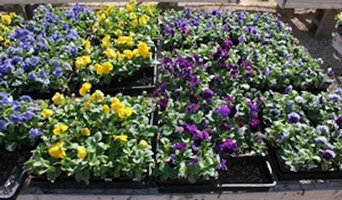 North Scottsdale Nursery & Cactus is dedicated to offering the highest quality bedding plants, flowers, shrubs, trees and cactus for all your outdoor needs. Come choose your plants, trees and cactus and we will install them, making your outdoor dreams come true. Jennifer Everett Plants is an online plant nursery without a storefront and based in Phoenix near 101 and I-17. Meetups near to zipcode 85023 by appointment, or car delivery to Phoenix, Paradise Valley, Scottsdale and more may be possible for group or other sizable orders. 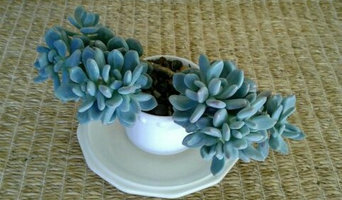 My business is a home occupation with plants propagated and grown indoors. I am not a garden center but a very small specialty nursery offering small succulents for your indoor landscape, a few varieties of small tropical plants, unique potted gardens, and custom planters/orders. At Majestic Water Spouts, we look to bring you high-quality, diverse styles and appealing water spouts for your next landscaping design project. Our water fountain spouts add that special little touch to make a good residential or commercial landscaping project look great. Quality starts at the beginning of creating each and every one of our fountain spouts and scuppers. First, 316 grade stainless steel is precision laser cut, then hand folded and TIG welded to ensure a long lasting water fountain spout. All our water spouts are powdercoated as another layer of projection from harsh outdoor environments. We offer a couple of colors at this time, but custom colors and raw water spouts are available upon request. Family owned manufacturer of iron & steel products. We specialize in fabricating stock items and custom ornamental pieces for private residential, commercial and home builder applications. AZ Patio Heaters was established in 2002. We have devoted an enormous amount of time to developing our Patio Heater line in the US with the support of our manufacturer. Our manufacturer has been producing patio heaters for over 10 years and they are the largest producers in China. Over the years we have taken the necessary steps to insure quality control and produce a consumer-friendly product that is reliable and trouble free. We are one of the only suppliers in the US to maintain a complete line of replacements parts and a complete repair center. We offer all of our customers an 800 number with live customer support as needed. We are currently selling our patio heaters to several of the top 10 retailers in the US: Target, Lowe's and many others. We have established a very solid relationship with them based on our dedication to quality and commitment to their customers. We can assure you that you will be extremely pleased with our service and the quality of our products. Aside from our products selling online, we do have repair technicians that can come out and repair your units for you in the Phoenix, Arizona area. 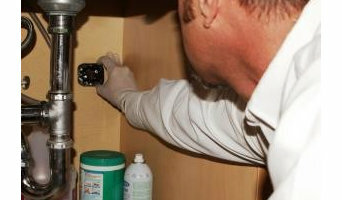 Call (623) 875-1330 and ask about our local repairs! The lowestoolrental.org has been around in the industry for more than 25 years. Our company was established by goal-driven men who provide tool rental services. Arizona Luxury Lawns & Putting Greens is Arizona's only destination for artificial grass. Scottsdale to Tucson, we pride ourselves on being the most reliable in the business. We focus on delivering the highest quality synthetic turf and provide our clients with the best customer service. Our services include residential lawns, commercial lawns, institutions and athletic facilities along with the maintenance of your turf, making us the most reliable Arizona backyard landscaping company. Arizona artificial grass company U.S. Grass and Greens is bringing golf greens to Valley backyards! We're offering residents of Scottsdale, Tempe, Chandler, Glendale, and Phoenix artificial grass greens made from Envylawn turf, the industry's finest artificial turf. Flower Street Urban Gardens is an Arizona based company dedicated to urban gardening and community stewardship. At Flower Street Urban Gardens we believe that gardening can be a practical and beautiful experience for everyone and we strive to make gardening simple, elegant, and accessible to all. Our patented vertical garden system is perfect for walls and fences of all types, including block or stucco walls, chain link or wrought iron fences, and balcony railings. Contact us today by phone or email for inquiries regarding custom designs, sizes, and applications! Desert Foothills Gardens Nursery, Inc. If you’ve been dreaming of a beautifully landscaped property with a water feature or a concrete fire bowl but don’t know where to start or what landscape supplies to buy, it may be time to look into garden and landscape suppliers in your Arizona area. From retaining walls to raised garden beds, these professional vendors can make your backyard the oasis you’ve been longing for. What’s more, many of these professionals can help you take your ideas from design to installation and provide garden care and yard maintenance according to your Fountain Hills, AZ climate. Here are some related professionals and vendors to complement the work of garden & landscape supplies: Landscape Contractors, General Contractors, Landscape Architects & Landscape Designers. What if you would love to grow your own vegetables but have site limitations? Many garden supply companies offer planters and containers that are up to 42 inches tall. For those who live in colder climates, consider a greenhouse — just the thing to enjoy starting plants or growing exotic blossoms that wouldn’t quite work in your Fountain Hills, AZ climate. Find garden and landscape supplies on Houzz. 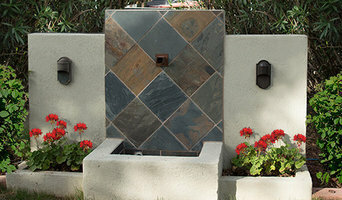 Search the Houzz Professionals section for Fountain Hills, AZ garden and landscape supplies. Browse photos and read reviews. 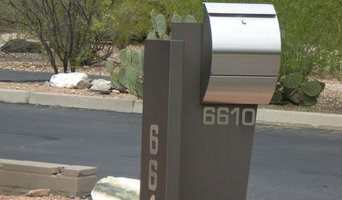 You can also explore full-service Arizona landscape architects and garden contractors.